If you want to change your uTorrent Seedbox password for a WebUI, follow this tutorial to accomplish it. You can find your uTorrent Seedbox password in Welcome email that you’ve received after the order is complete. 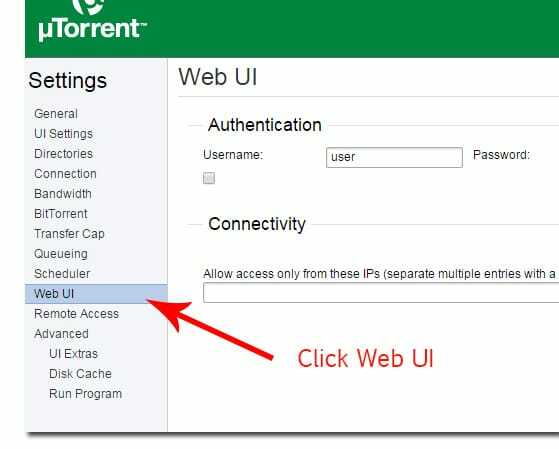 Login to your uTorrent Seedbox web user interface. To change the “user” password, type the desired password in the password field. You may also alter the username (“user” by default) as your discretion. Click “Save Settings” button at the upper right corner of the settings window to save your password, once done you will be asked to submit the new login details (username & password) that you just configured.